1 Bdrm 1st flr Flat. Hall. Lounge/Kitch. Bdrm. Bathrm (CT Band - A). Garden. 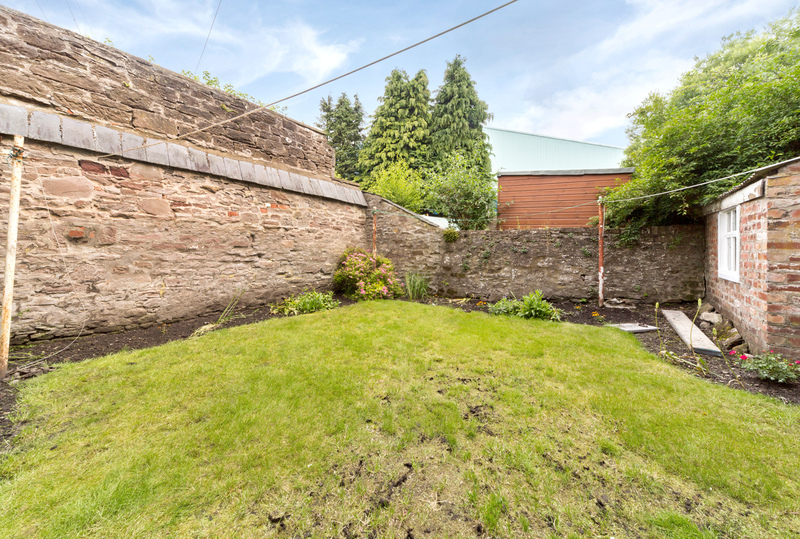 Fixed price £33,900 Entry by arr. Viewing contact solicitors. (EPC band - E). The city of Brechin is situated between Aberdeen and Dundee just off the A90 dual carriageway and within easy commuting distance of Montrose, Arbroath, and Forfar. The town has 2 primary schools and Brechin High School caters for the teenagers. There are health clinics and dental surgeries in the town as well as a wide range of shops ranging from the high street multiples to traditional local retailers. The county of Angus offers an unrivalled range of leisure pursuits for the active family with hillwalking, hunting and fishing being available widely throughout the area. The “Glens” and the Cairngorm National Park are an attraction for the outdoor enthusiast. The property which was built in the late 19th century is of the Victorian era. It has been well maintained over the years and it has been upgraded and modernised in recent years to offer comfortable accommodation by today’s standards. It benefits from full double glazing and electric heating for economical running costs. 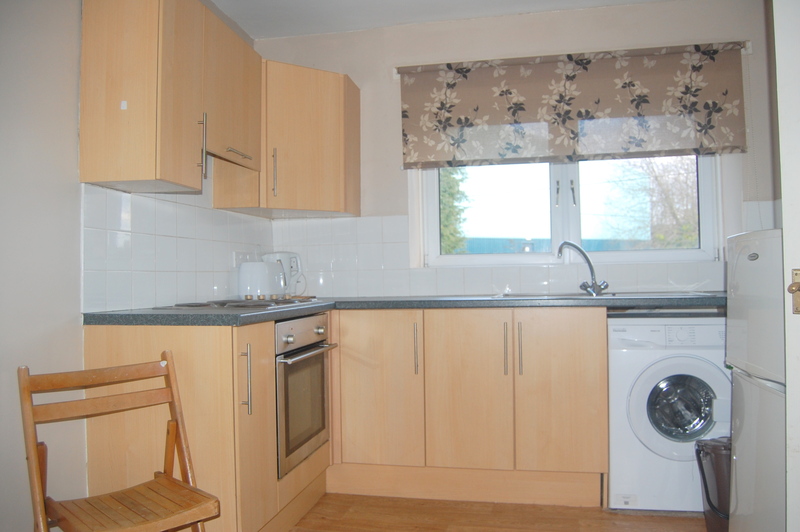 The accommodation comprises bright lounge with modern kitchen area, one double bedroom and fitted bathroom. There is a shared drying area to the rear. 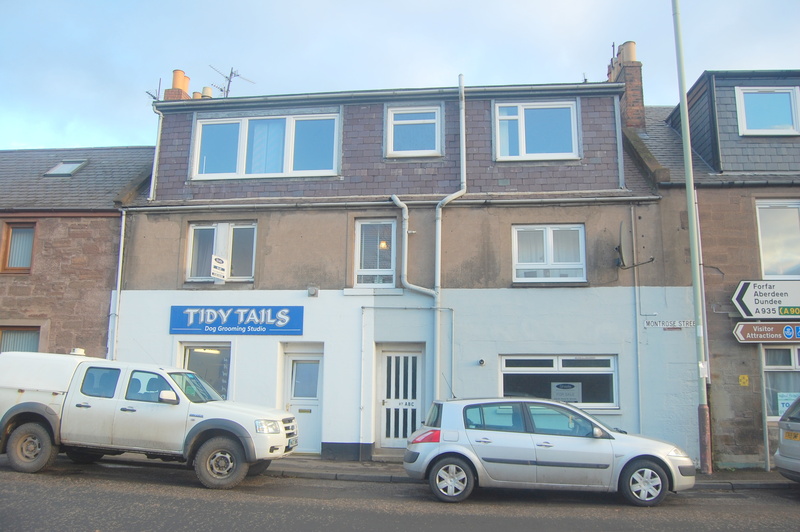 Early viewing is strongly recommended to fully appreciate the value for money offered by this one bedroom first floor flat which is ideal for the first time buyer or buy to let investor. A solid timber door gives access to the entrance hallway which leads to the lounge bedroom and bathroom. 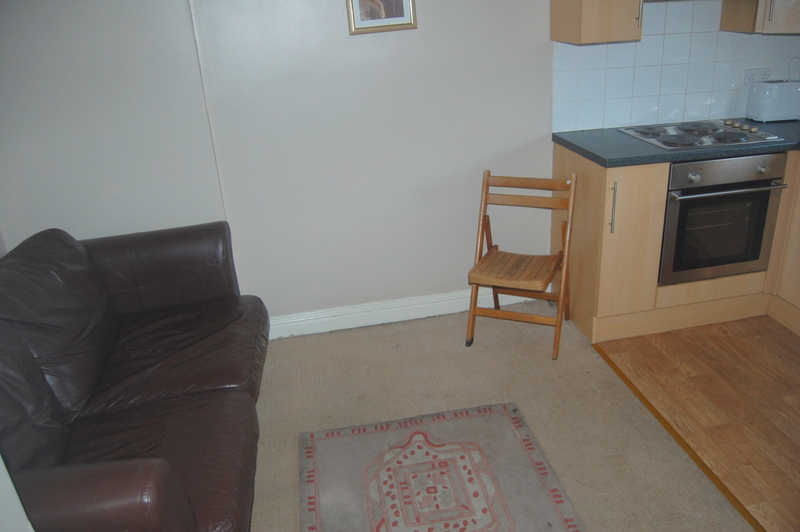 Smoke alarm, laminate flooring, a high level cupboard houses the electric meter. Lounge/Kitchen This is a well presented public room which is located to the rear of the property. A cupboard houses the hot water tank, TV point, heat detector. The kitchen area has been fitted with a range of wall and floor mounted storage units with beech veneered doors with stainless steel handles and dark laminate worktops. The electric hob, oven, cooker hood, washing machine and fridge freezer are included in the sale. Stainless steel sink and drainer with tiled splash backs, a window to the rear overlooks the garden in a northerly direction, laminate flooring, roller blind, wall mounted Dimplex convector heater. 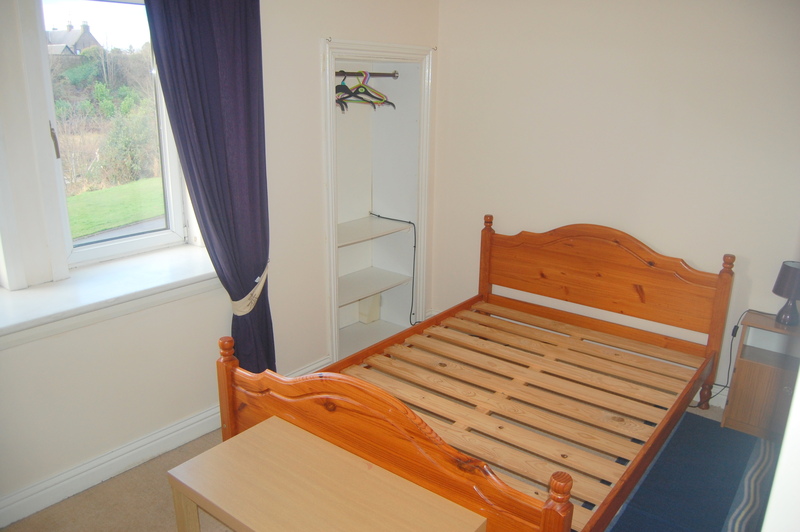 Bedroom The bedroom is a bright and spacious double which is located to the front of the property. There are two window configurations which enjoy a southerly aspect to open countryside on the horizon. There is a shelved recess with a hanging rail for storage. 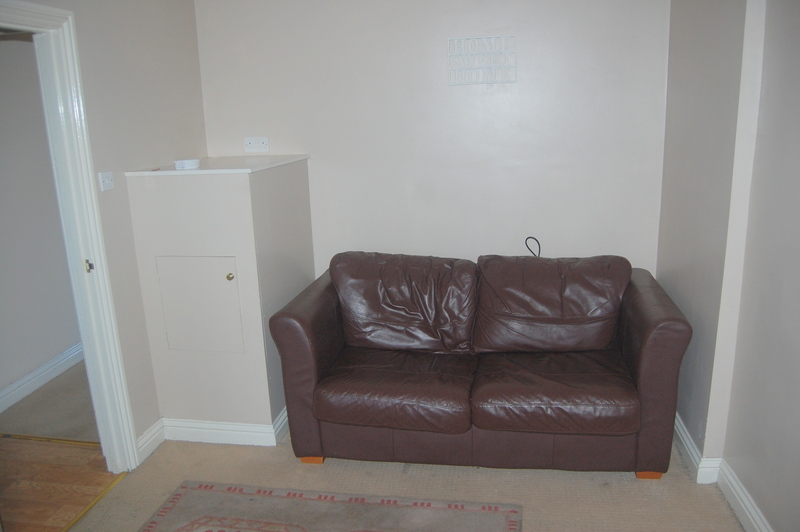 Sky TV point, telephone point, wall mounted Dimplex convector heater, space for freestanding furniture. 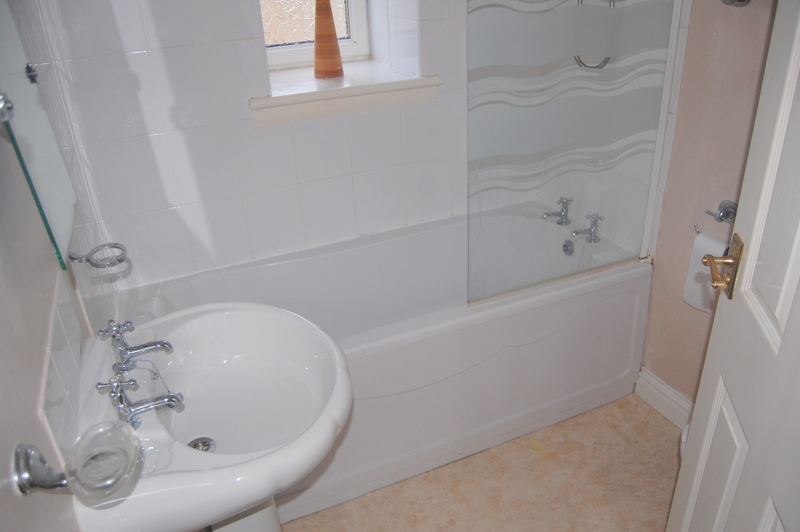 Bathroom Fitted bathroom with white suite which comprises back to wall toilet, pedestal wash basin and bath with electric shower fitment and glazed shower screen. There is ceramic tiling to ceiling height within the bath area, vinyl flooring, wall mounted Dimplex fan heater, fitted mirror. 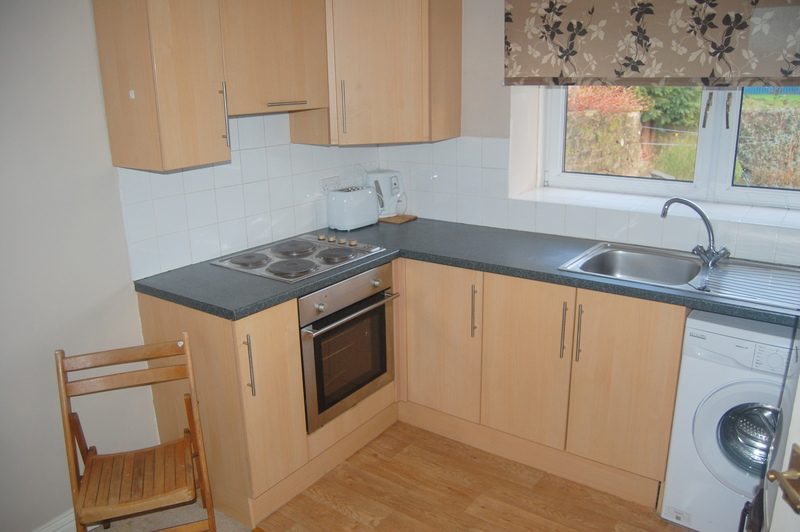 Extras All carpets, blinds, the hob, oven, extractor hood, washing machine and fridge freezer are included in the sale. All items of furniture may also be included. Heating There is an electric heating system with convectors and a fan heater located throughout the property. Garden To the rear of the property there is a shared area of garden ground. It is enclosed by stone walls and it consists of a well-kept lawn with herbaceous borders which are easily kept. Wash poles, bin store area.